Chatbots are revolutionizing the workplace. Over the last year, there’s been a significant rise in the number of organizations deploying bots. The purpose is to boost customer service automation, e-commerce, travel and even health. Chatbots allow businesses to capitalize on the popularity of messaging platforms like WhatsApp, Slack or Facebook Messenger. Big names like Disney, CNN, Taco Bell, Macy’s and Uber (to name a few) were among the first to jump on the bot bandwagon to drive customer interactions and generate sales. Though chatbots are still in a nascent stage of development, SAP found in a survey that nearly 20% (of 1000 IT and other business surveyed) of companies use Virtual Digital Assistants today and over 65% are actively considering deploying them over the next three years. At the annual Chatbot Summit in Berlin (June 26, 2017), the Innovation Center Silicon Valley (ISCV) addressed the challenges of building chatbots, various use cases and the current state of the technology. The current state of Artificial Intelligence promises to fundamentally change everything around us, and chatbots are a prime example of that. However, despite their various uses, most chatbots are designed for consumer consumption. These kinds of setbacks in consumer chatbot services beg the question – is the Enterprise world ready for chatbots? In the enterprise world, the adoption of conversational technologies is picking up speed. As Natural Language Understanding (NLU) capabilities get more and more sophisticated with their deep domain understanding, the chatbots and digital assistants will ultimately revolutionize how users interact with SAP software and vice versa. They enhance application usability and open SAP’s solution portfolio to new users. SAP’s offering will consist of a comprehensive Conversational AI Foundation. This Foundation is built using mature proprietary language technologies like HANA Text Analysis and state-of-the-art deep learning algorithms. It provides a comprehensive NL and domain understanding for SAP’s Digital Assistant CoPilot and other Conversational Applications across SAP’s portfolio, which will be unique in the enterprise software industry. 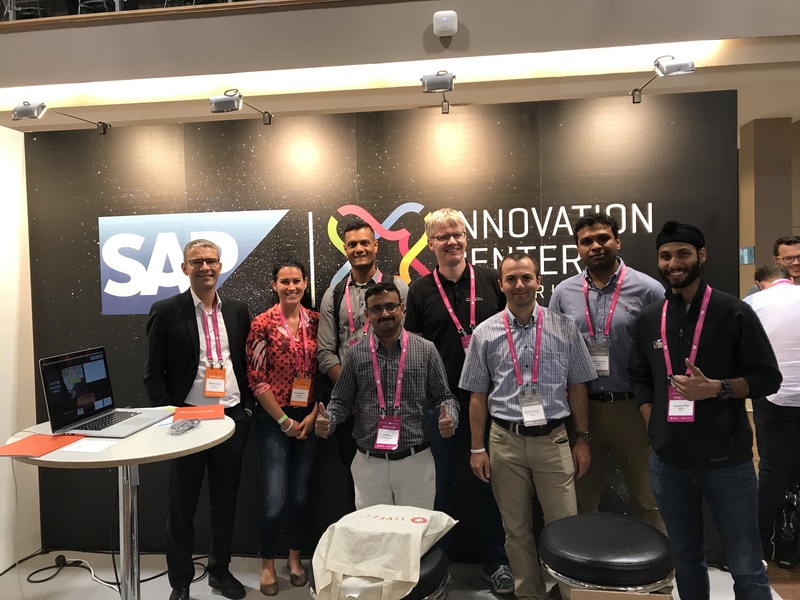 SAP’s Conversational AI Foundation fulfills the critical needs of more than 30 teams at SAP that have been endeavoring with external frameworks that have a limited understanding of SAP enterprise domains and a run-of-the-mill Natural Language Understanding accuracy – all of which hinders successful user adoption. Through its Conversation AI Foundation, SAP intends to provide omnichannel access to its conversational applications including text messengers like Slack, WhatsApp, and Facebook Messenger, as well through voice-based assistants like Apple’s Siri, Microsoft’s Cortana and Amazon’s Alexa. SAP’s vision enables humans to communicate with enterprise systems and vice versa using natural language, by voice and by text chat, in a frictionless manner. Machines will learn how users work, instead of users having to learn how machines work. They will evolve beyond the ability to simply react to user commands and rather engage with users proactively, contextually and personally. Eventually, conversational applications will become perceptive and make business processes easier to manage so users need less time to get the job done.